long hours, are a busy parent or maybe you are just running errands all day…leaving your pet is not fun for you or them. Thankfully the pet industry recognized the need for a safe and healthy solution….dog daycares! The benefits of sending your dog to daycare are endless, but our daycare clients would tell you that these 4 reasons are what keep them coming back to Meadowlake. First is exercise! Beyond getting time to play with new friends and socialize with humans, daycare dogs will benefit from physical exercise. Physical exercise can decrease anxiety in many dogs, plus it keeps them healthier and happier for longer. That is why it is important when choosing a daycare to make sure to evaluate the amount of space available for your pet to run around in. Large fields, toys, playground equipment and of course other dogs, means that your pup will be playing and running throughout the day, giving them the optimal amount of exercise during the day. Next is supervised socialization! Dogs are naturally social animals, and while not every dog enjoys interacting with others, most definitely do! A socialized dog is a happy dog! Daycares should be staffed with passionate animal lovers who are well trained in dog behavior, allowing your pet socialization that is safe and healthy! Daycare also eliminates boredom that pets feel when left alone for hours during the day. Boredom can lead to bad habits such as chewing, scratching, constant barking and other destructive behaviors. 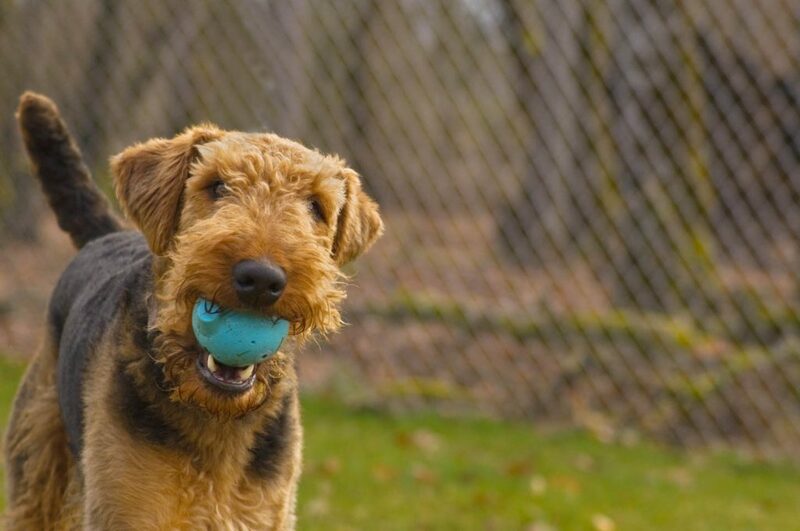 Daycare provides the stimulation needed to keep a dog’s mind enriched and never bored. And one of the biggest reasons our clients seek out daycare is because it is a great solution for the busy pet parent. Between work, parenting, social obligations, vacations and just every day errands, giving your pet enough time and attention can be tricky. Daycare allows your pet to go to the restroom when needed, get supervised attention and playtime, proper exercise and no more guilt for the owner! Please remember to research daycares in your area thoroughly looking for safety, training, yard space and more. For more information about Meadowlake’s Daycare program and to sign up for your free Daycare Evaluation, please check out our website or call!